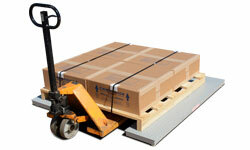 • Fits small and large pallets. • Fits all standard “pallet jack trucks” and most “power walkies”. • Structural tubular steel design. • 20 foot meter cable. IP 67 water resistant rated, environmentally protected, load cells. • Compatible with digital indicators having remote base capabilities. 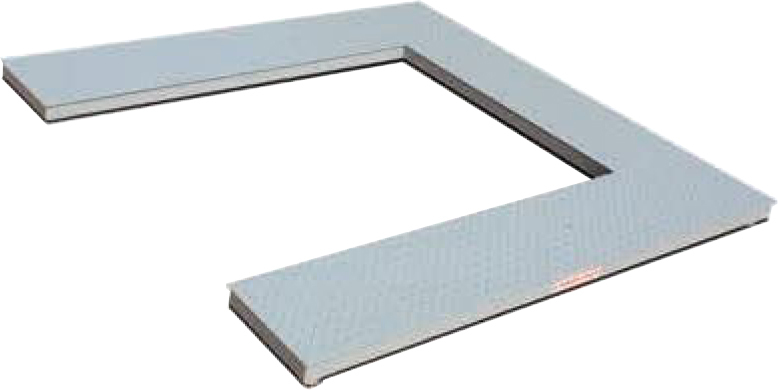 • Easy access leveling feet and junction board. • Low profile 3″ high design. • 1 part in 5000 accuracy. 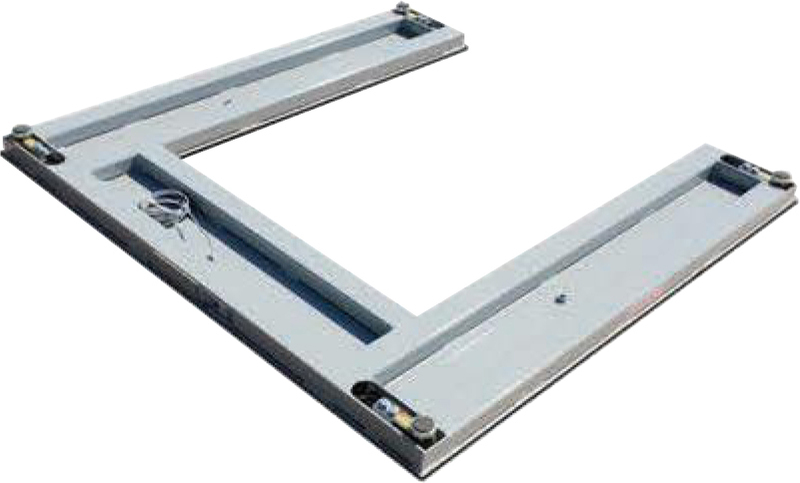 • Stainless steel or aluminum construction. • On board plastic NEMA 4X junction box. • Remote stainless steel NEMA 4X junction box with 10′ sealtite conduit. • Stainless steel load cells. 60” X 60” X 3” 5,000 Lb. 335 Lb. The above graphic illustrates the standard size 660-PW. If custom sizes are required please use the above graphic and replace the standard sizes with the sizes required for your application.